I previously wrote about the benefits of networking using the social platform, Twitter. However, this time I want to expand on that and discuss the benefit of networking as a whole. Many think of business network marketing as Multi-Level Marketing (MLM) companies, such as Juice plus, Forever Living and Arbonne, however network marketing works for everyone. It is the process in which you use networking situations to market your business and can be beneficial particularly to business to business (B2B) companies who are looking for other business owners to market to. 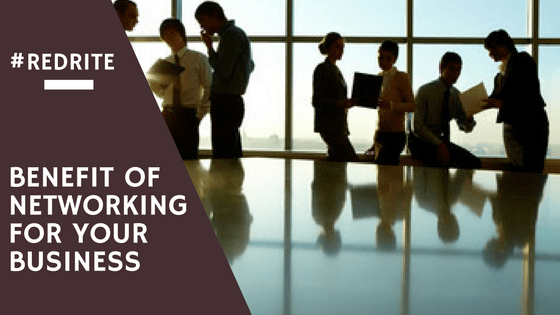 What is the benefit of networking for a business? Being a business owner can sometimes be a lonely experience. Yes, you have staff and yes you family but to the staff you are the boss and not all family are interested in talking about business. So who do you turn to when you want to chat about business without being formal? That is where the benefit of networking comes in to play, whether it is face to face networking or even just a member of a Facebook/LinkedIn group. Having access to people in similar position as you to talk to when needed eases the responsibilities of being a business owner as well as open avenues of business you might not have considered. Through networking you can create a close knit network of individuals that you can go to for advice, do skill swaps with in order to complete projects on a budget or to attend conferences with. The connections made through networking can also provide collaboration possibilities. Regularly meeting and communicating with other owners about your business it can effortlessly spread the word about what you have to offer, without the expense of a marketing campaign or keeping track of what posts went in to which Facebook group. In this way it is one of the cheapest ways of building your audience, keeping people aware of your business and, when giving advice, it is also a way to show your expertise in your industry. Top Tip: Always carry business cards with you to networking meets, every person you come in contact with is a potential new customer and providing them with a business card means they can find you again after the meeting. I personally am a member of several groups and run two of my own face to face networking groups. Through these groups I have met so many new people and even obtained several new clients, clients I would not have met any other way. A plus to these groups is when I want to vent about a situation, or dying for advice I can turn to them, provide a little detail and receive feedback that clears up the situation for me. These networking groups and those on Facebook also offer me an audience to provide market research and it’s a guarantee they are the correct market to help me. I have offered to complete market research for other individuals as well as provide advice in regards to what actions a person should take, particularly in a situation they may not have experienced before. Answering questions put to the groups has helped my show that I do know what I am talking about, I can do what I advertise and in turn has built my client list. I have created a level of authority in my industry by a simple comment on a post. Is Networking suitable for my business? Yes! Networking is perfect for any business, whether you sell a physical product or provide virtual services. Finding a group of individuals that can offer you support and open more avenues for sales is one of the easiest and most effective techniques to running a business. How do I find a local face to face group? Local business networking groups are everywhere, some of the best ways to find a local group is to post in local Facebook groups or search on local ad pages such as Craigslist or Gumtree. Websites such as Meetups.com or Eventbrite.co.uk are specific sites created to advertise networking events, simply enter in your postcode and choose a search area. If you know another local business owner why not attend together if you are nervous about attending. If you are local to North Leeds and want to know more about networking groups pop us an email across and I can share my local groups. I also have a list of some networking groups in the West Yorkshire area, just send me a message and I will share a copy.